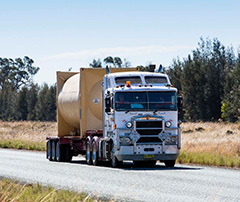 Orica's Sparge reduces cyanide delivery risk and increases usage efficiency. 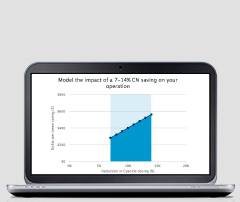 Maximise recovery and minimise costs by measuring more than just cyanide, with Orica’s next-generation Cyantific™ analyser. Orica’s Cyantific™ analysers have been helping gold miners reduce their reagent costs for over 10 years, but there’s much more to leach recovery than cyanide measurement. Orica released its latest analyser at the 2015 ALTA conference detailing the benefits of this experience, providing a flexible measurement solution that’s adaptable to process changes and different solution chemistries. Now featuring Dissolved Oxygen and pH measurement, Cyantific™ provides the information you need to optimise your recovery. Plus you get the added confidence of a 3G remote diagnostic capability, ensuring your testing is more reliable, more accurate and more cost-effective. A variety of commercial arrangements and service packages are offered to ensure that this crucial process management tool provides the value that your operation needs. Our analysers can also assist in achieving environmental and ICMC compliance. Superior potentiometric measurement platform: the best measurement for determining if your process is CN limited. Integrated pH and Dissolved Oxygen measurement: measure and control your leach, not just your cyanide. Analysis of up to three process streams per analyser. Individually configured to your solution chemistry. Improved sample detection and handling – reduced sample volume for analysis. Electrode health check: immediately know when maintenance is required. Improved measurement range: choose different reagents based on each stream’s chemistry. Visual error and equipment status. Push-button access to results and equipment status. 3G and USB Enabled for remote connectivity and data analysis. 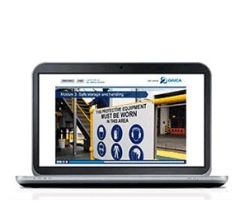 New to Orica's OCM5500? Click here to request contact from one of our technical experts. Existing OCM5500 user? Click here to access technical support.